We woke up and went through the normal routine – nursing, diaper change, bath time. It was actually a pretty relaxing morning. I even got to take a bath! Yay! Things got a little more frantic as we were approaching leaving time. 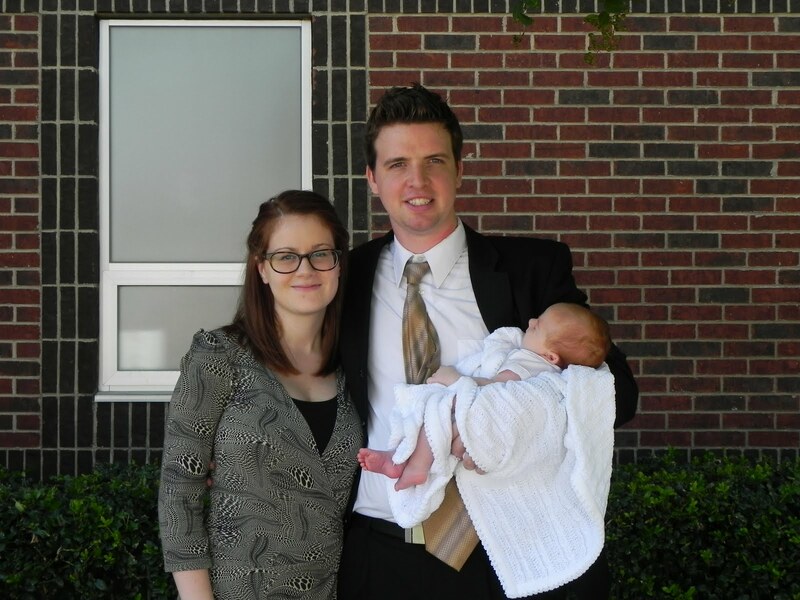 Our goal was 12:00 noon (the blessing was at 1:00 PM twenty minutes away in Denton). My plan was to get to the church and have time to put him in what I like to call a “milk coma” before the blessing. It all worked out and we were right on schedule! What a miracle. 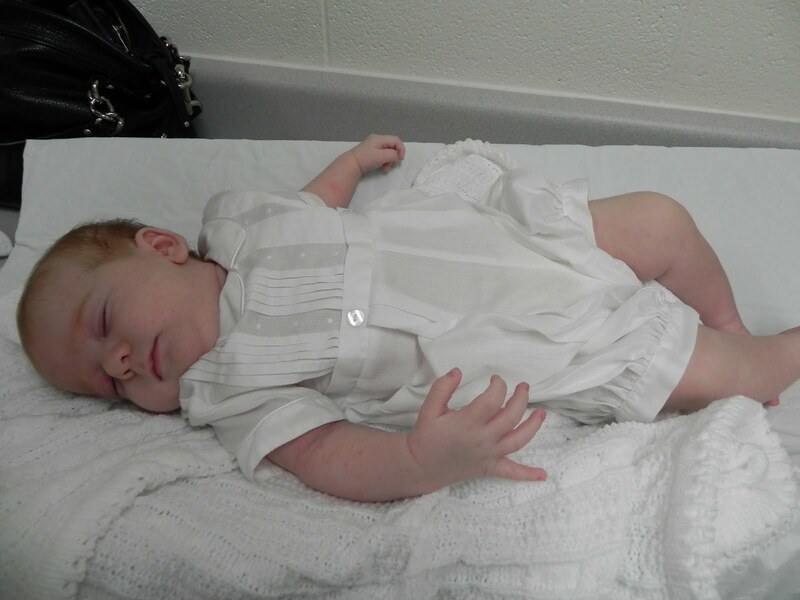 There was one hiccup…my mommy brain completely forgot to dry clean his blessing outfit! How could I forget to do that with my ultra skin sensitive baby (another blog, another day)?! I felt terrible! But we had no other choice than to put him it. I figured it would be okay since it would only be about 30 minutes then we would change him right out of it. Boy was I wrong! His back/neck/stomach broke out and turned fire red, Poor little guy…I’m going to have to put on the hat of nurse mommy the next few days while his skin gets over these shenanigans. It was a beautiful day and we are just so thankful to have him in our lives! Holden looked like an angel. Not just “he looks so sweet” (although he did) but like a little spirit who was visiting us from heaven (see below). >He is an angel and I love his blessing outfit. I can't wait to hear about all of the wonderful blessings his father bestowed upon him. Love you. >Emily – what's your blog's link?! We wish you guys could've been there too! Can't wait to see you in a few months! >Jen, you can get her link off of my blog. She's under "People I Love".